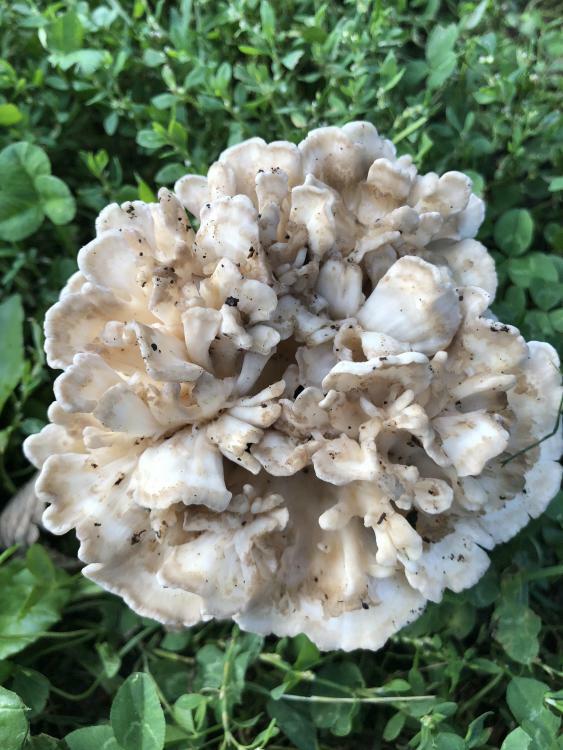 Is this young hens of the woods? Thanks! They both look like a young hens to me. Is there a tree stump close by, or are they popping up over where a tree once was? It was growing close to a stump of a dead tree. 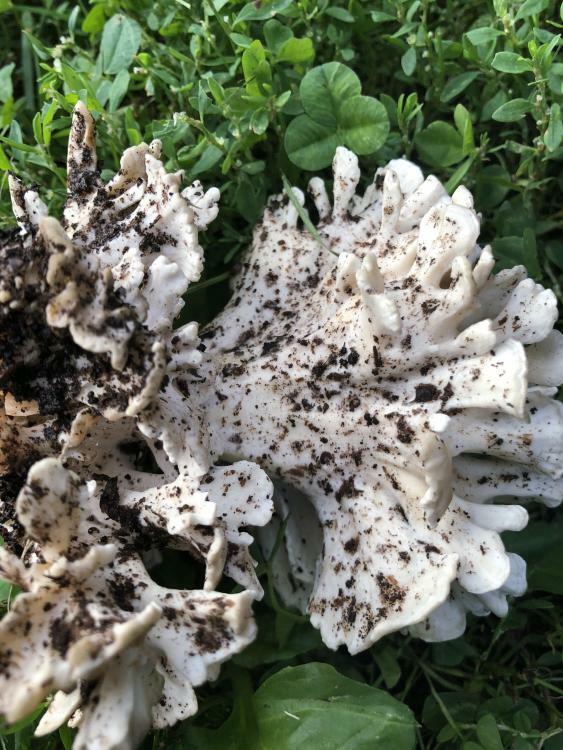 The photo are front and back of the same mushroom. If the flesh is white and soft and doesn't bruise or stain any color, I wouldn't hesitate to clean it up and cook it. 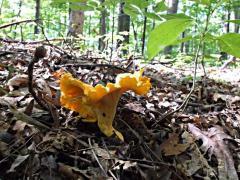 We're at the very beginning of maitake season. I'm gonna hit the woods soon. Sure looks like it to me. I need to get out mushrooming!